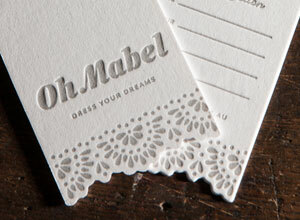 Give your corporate stationery and marketing material the edge with letterpress printing. 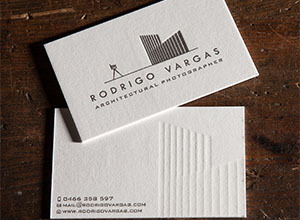 Letterpress business cards printed on premium 100% cotton stocks will impress any client. 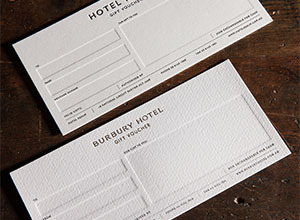 Reward your customers or their friends with stylish gift vouchers showing your business name and logo. Enhance your business and products with diecut stationery. Contact us today to arrange a time to discuss your corporate stationery needs.